Students will learn how to develop AR and VR technology for immersive platforms, says UWC. From 17 September, the University of the Western Cape (UWC) will offer an accredited postgraduate diploma in e-skills with an immersive technologies stream, which incorporates augmented reality (AR) and virtual reality (VR). 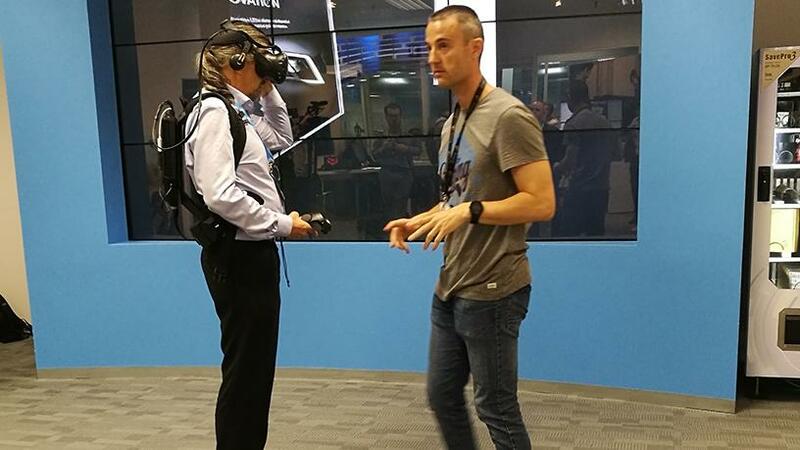 The programme will be offered by the university's Department of Computer Science in Information Systems, in partnership with immersive technology company, EON Reality. The eight VR/AR modules are priced at R6 750 each, and the total cost of the diploma is R54 000, says professor Antoine Bagula, head of the computer science programme at UWC. He points out that the one-year programme is equivalent to an honours degree and applicants are required to have any bachelor's degree. "It is also important to note that, at a postgraduate diploma level, unlike short courses, there is an opportunity for articulation into further postgraduate programmes within computer studies. "The programme also has a project element, which will be linked to a hands-on industry project across the various sectors, including developing immersive technologies for mining, education, health, retail and many other sectors." The university says the postgraduate qualification is a response to the need for an expertise base capable of developing and customising augmented reality and virtual reality content at a time when SA is transitioning into the technological phenomenon known as the fourth industrial revolution (FIR). "The programme is an attempt to position the institution as one of the players in the fourth industrial revolution. Some UWC researchers are already well engaged and published in some of the fields related to the fourth industrial revolution, including the Internet of Things, artificial intelligence, machine learning, 5G and big data technologies. This diploma is therefore a natural evolution that complements the ongoing work at UWC." A 2018 trends study by Deloitte found that AR and VR will continue to forge inroads into mainstream consumer usage, as well as the enterprise. Furthermore, a Statistica projection, based on data from Goldman Sachs, estimated that the total global market value of both VR and AR will reach $35 billion by 2025. "UWC, in understanding the need to develop skills in the fourth industrial revolution, looked at partnering with EON Reality to upskill young and upcoming Africans in a much-needed skill: AR and VR. Students will learn to develop technology for immersive platforms like head-mounted gears and mobile phones," says Mmaki Jantjies, senior lecturer in information systems. The university will host an open day on 18 August to showcase the AR/VR technology on offer and answer questions regarding the programme. This is not the first postgraduate diploma offered by UWC with the aim to prepare SA for the fourth industrial revolution. Last year, UWC began offering a postgraduate course in the field of computer software and media applications, specialising in data analytics and business intelligence. The aim of the programme is to address the data analytics and business intelligence talent shortage in SA. Also, this week's Fak'ugesi African Digital Innovation Festival, held in partnership with the Wits Art Museum, announced it will offer a specialist workshop in augmented reality. The workshop, which will be run by experts in the field, will take place in Braamfontein over the two weekends spanning 25 August to 2 September. Young digital artists, designers and makers using AR software platform Unity can apply for the free workshop in Johannesburg.